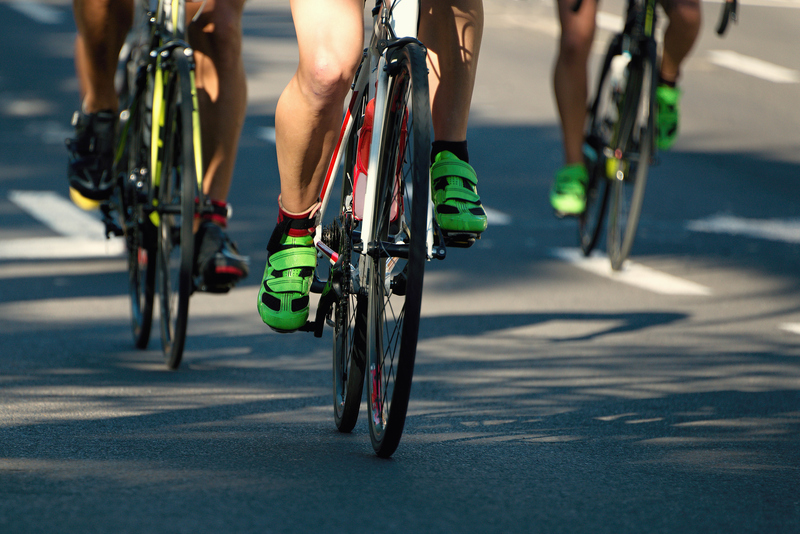 Whether you’re racing or watching, the Columbia Triathlon is an amazing event to attend. If you’ve ever been to a race event, you’ll know how much fun and camaraderie there is. Ellicott City has several great races, but one of the best is the upcoming Columbia Triathlon & Duathlon. (For more on Ellicott City, download our free area vacation guide.) Held on Sunday, May 21, the Columbia Triathlon is one of the most challenging and longest running triathlons in the U.S.! Starting and ending in Ellicott City’s Centennial Park, the Columbia Triathlon is an incredible spectacle of endurance. This year will be the 34th time the triathlon has been run. A world-class event, triathletes from around the nation and the world converge on Ellicott City for this acclaimed Olympic-distance race. What began in 1984 with 90 athletes now attracts the best of the best for an incredible .93mi swim, 25mi bike, and 6.2mi run. Even if you’re not competing, coming to the Columbia Triathlon to show support is an inspiring and exciting way to spend a Sunday. Triathletes can register until April 20. Whether you’re competing or spectating, one of the most fun things about the triathlon is the location. Ellicott City is an incredible little town founded in 1750. What began as a mill town is now a vibrant collection of antique stores, eclectic shops, restaurants, and taverns. There are Ghost Tours almost all through the year and a monthly farmers market during the spring through fall. There is always something going on in the historic downtown. For the best of Ellicott City’s historic charm, with the benefit of modern amenities, stay with us at the Wayside Inn! Our serene atmosphere will keep you calm leading up to the triathlon (if you’re a competitor!) and treat you to a relaxing, historically charming B&B if you’re in town for the fun. Each room features a private bathroom with a spa tub and shower—perfect for post-race recharging—and high-quality linens for a good night’s sleep. To really treat yourself and recharge after the triathlon, order a special In-Room Swedish or deep tissue massage. Here at the Wayside Inn, we take breakfast seriously. We try to offer a breakfast that is not just filling, but a breakfast that you would never make yourself at home. Every morning of your stay at our Maryland bed and breakfast, we offer a sumptuous breakfast, starting with hot coffee and a selection of teas, followed by a choice of four to six juices. We then bring out the first course, a special fruit dish. It may be Heavenly Bananas or a Baked Grapefruit or our signature dish: the Sunrise Cocktail! This is quickly followed by a second course: something freshly baked from the kitchen. Our Main Course follows: Breakfast today, made to order just before it is served, may be fresh Lemon Blueberry Pancakes, Ham and Apple Frittata topped with Four Cheeses, or one of the other signature dishes created by Owner/Chef David. Whatever is served each morning at our Maryland inn is prepared fresh and with your specific food preferences in mind. We specialize in serving folks that have special food needs, such as Vegetarians (in fact, almost every main entree is Vegetarian), and those who are Vegan, Gluten Intolerant, or Diabetic. Come take part in the incredible Columbia Triathlon—either as a supporter or an athlete. Our free area vacation guide will help you make the most of your trip!